In order to become a certified Move to Learn Practitioner, you will need to be assessed by one of our practitioner assessors. These women are all qualified Move to Learn practitioners and assessors. Julia Dive is one of our assessors as well as being a Move to Learn Practitioner. She has been a cornerstone in Move to Learn and has helped to develop the Ten Gems Movement Program and spearheaded our Ten Gems for Adults program. Julia has worked closely with primary school children for over 30 years and was employed as a Teacher’s Aide Special from 1996 to 2008. Director and founder of ‘Smart Brain/Smart Body’ in NSW, her centre offered assessment, tutoring, Irlen screening, sound therapy, Extra Lesson and Move to Learn, concentrating on the whole child and supporting the parents of the child. A new passion has been introducing Move to Learn to senior’s communities where she has inspired many to get together and move for a better quality of life; keeping brains and bodies active while encouraging social connection. 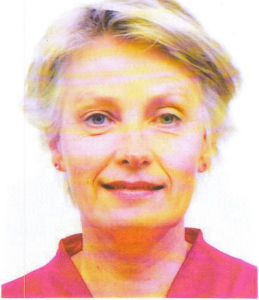 Veronica Steer is also a Move to Learn Practitioner as well as an Assessor.